The Hen and Chicken has been a pub since 1850 and the premises date from 1742. It is a cosy, traditional village pub with log fire, restaurant area and garden. The pub serves three real ales and one is usually a local beer, for example King Beer Horsham Best Bitter. 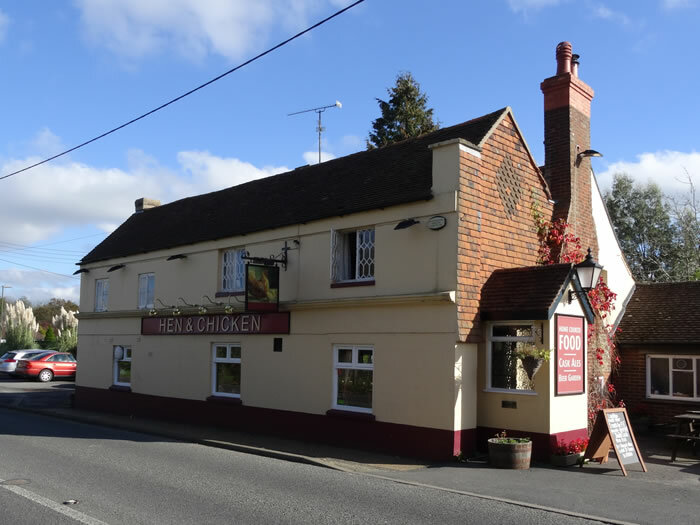 The pub is named after the "Hen and Chickens" bicycles that were trialled by Horsham Post Office in 1880. It's a few miles away but the George and Dragon at Dragon's Green (south of Southwater) is a great pub.